Introducing: Managing Editor, the magazine for the professionals who manage modern content teams. This new publication celebrates and supports what we consider the most important role in content marketing today: the managing editor. 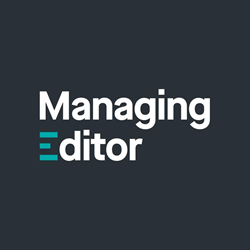 The managing editor is the unsung hero of every content team, responsible for editorial direction, technology updates and managerial decisions. It’s a complex role that deserves a dedicated stream of news and inspiration. That hasn’t existed – until now. “This new publication celebrates and supports what we consider the most important role in content marketing today: the managing editor. As a managing editor, you wear a lot of hats beyond simply editing words on a screen,” said Mary Ellen Slayter, CEO of content agency Rep Cap and Managing Editor of Managing Editor magazine. “When we thought about where we wanted to be in 2018, we realized it was time to kill our agency blog in favor of a publication that actually matters to the people we collaborate with and work alongside, the managing editors of the world,” Slayter said. Managing Editor features news about marketing tech and trends, interviews with innovative creators and leaders, and tips on topics ranging from writing and editing to digital strategy and management. Designed to inform, arm and inspire managing editors to excel in their complex role, Managing Editor will deliver fresh articles each week. Headquartered in Baton Rouge, La., with a decentralized team operating across the country and clients around the world, Rep Cap is a boutique B2B content agency that works with brands to hone and fuel their content strategies.